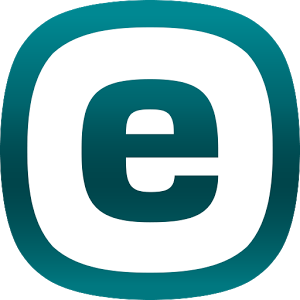 At ESET, we have been combatting malware for nearly 30 years. Our mission remains to allow you to enjoy safer technology, so you don’t have to be preoccupied with security. In recent years we have analyzed thousands of malware samples − and with more than 1 billion active devices in circulation, we can say with certainty that Android is without a doubt a platform that attracts cybercriminals. 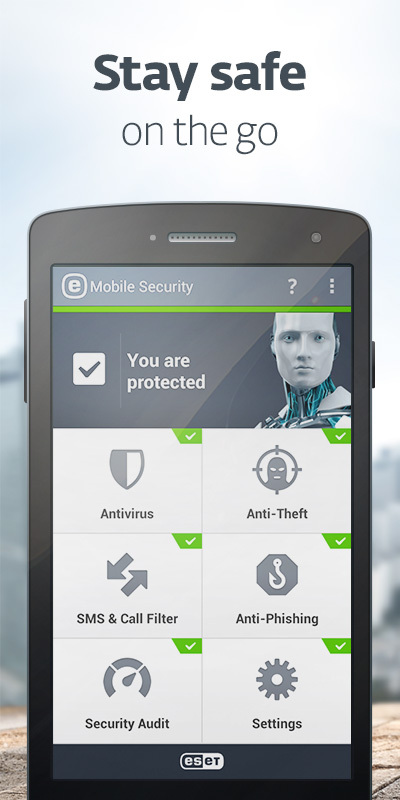 In pursuit of your enjoying safer technology, we have developed ESET Mobile Security, which has since become a top-rated security app on Google Play. Among other cool features it boasts cloud-powered antivirus and proactive anti-theft system. My personal favorite is the Proactive Anti-Theft which extends the protection from the virtual world to real one by allowing users to track their missing device or to protect their personal data contained in their device. Imagine a situation: You had a really busy day. As if that was not enough, you have just discovered that your Android smartphone is missing and the battery is dead. 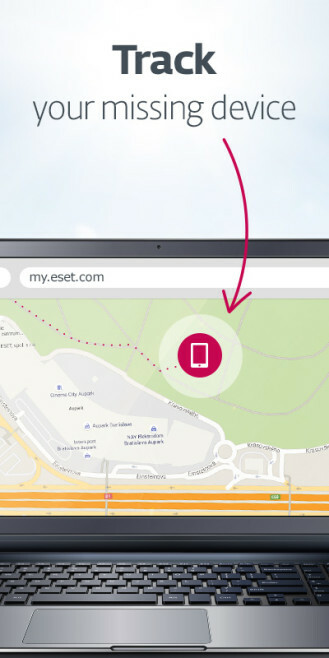 When the battery hits critical levels, Proactive Anti-Theft automatically sends the device’s location to the my.eset.com web interface. So, when you log into your account, you can see its location on the map. Tracking your device is even easier when your smartphone or tablet is fully charged. 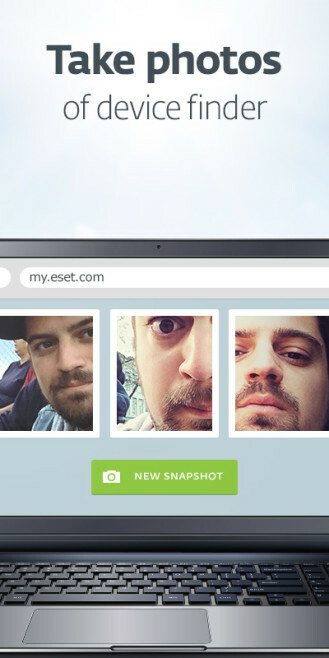 Using my.eset.com you can also track its movement, get photos from its surroundings, and if you are within range, remotely trigger a loud siren to help you locate it, even if it is in silent mode. 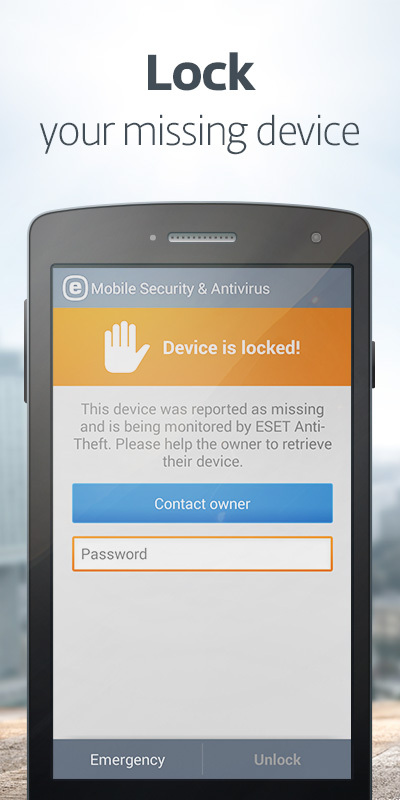 Moreover, you can remotely lock the device and contact its finder by sending out an on-screen message. Still no luck recovering it? You can remotely wipe all your contacts, pictures and other private data stored on your device. 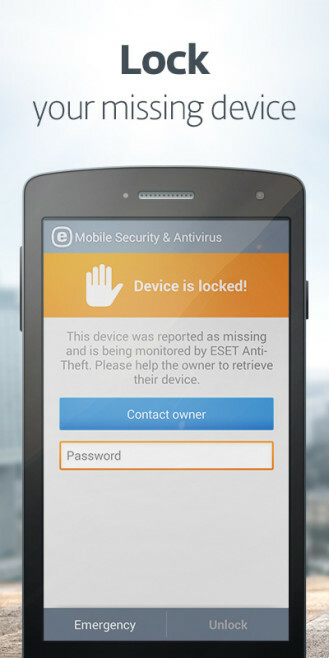 In both cases, you are notified by e-mail that your device might be lost or stolen. You don’t have to be a ninja to move safely and gracefully around the web downloading all the cool new apps. Just be yourself, enjoy safer technology and let ESET Mobile Security take care of security. And best of all, a single license can protect up to 5 of your devices connected to the same Google account.